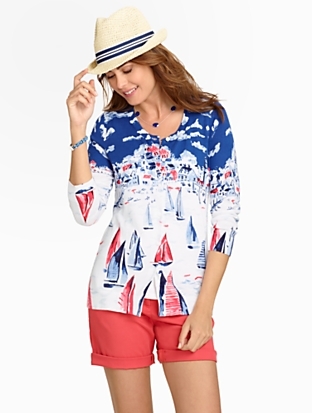 Set sail on gorgeous clothing with a nautical motif with some amazing prices. All of these items are at least 40% off the original price and many have an additional percentage off the already low price. 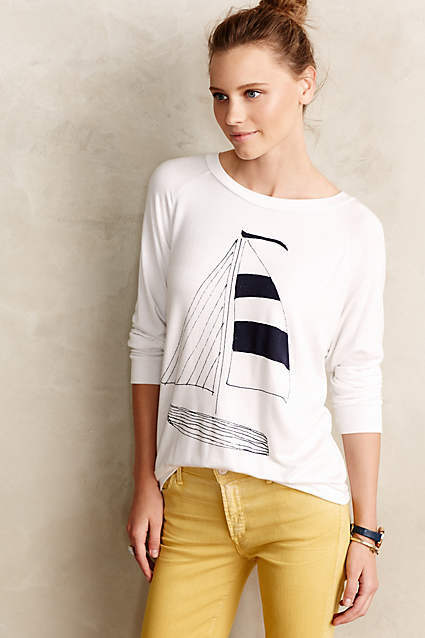 The Smooth Sailing Tee is perfect for cool summer nights and makes an excellent transitional piece. Get an extra 20% off the already reduced price with the code SAILAWAY. 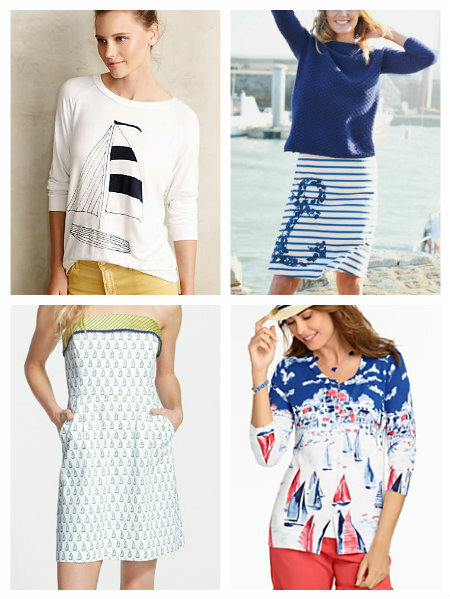 This fun nautical skirt works well in three seasons. I love the details in the anchor. So adorable! The Vineyard Vines Sailboat Dress is on sale for 40% off retail with free shipping! I love this print. Pair it with a cardigan for cooler evenings. Get 50% off the sailboat cardigan. Perfect to wear with shorts, jeans, or over a summer dress!